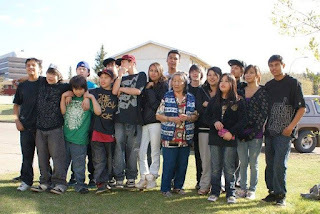 Since the news broke regarding the 11 suicide attempts over the weekend in Attawapiskat First Nation, a northern Ontario community, I have been reading and listening to a number of different news reports on this latest crisis. Canadian politicians, First Nations politicians, academics and sympathetic Canadians are all weighing in to offer solutions. What I am hearing is the Canadian government should provide more funding to First Nations because what they are given now is wholly inadequate to address all these problems on First Nation reserves. A former Aboriginal Affairs Minister stated that the members of Attawapiskat First Nation should be relocated because they are too isolated and have no possibility for a viable economic economy. Others are saying this is a chronic problem for many First Nations, and Canadians need to put pressure on their government to take action. The bottom line I get from all this noise is that Canadians and the government should do something about this. However, money alone will not solve this crisis without a concrete plan of action created by the community. For example, I know many people who have received over $100K in residential school payments and it didn’t improve their life. In fact, in some instances it made it worse. Everyone is saying they need this and they need that but I have not heard one politician, either Federal or First Nation say, what does Attawapiskat want and how can we support them? What have the parents and youth said about a solution? Who is listening to them? Another youth said this about the suicide attempts in her community. It is beyond discouraging to hear her talk about this happening in Canada in the 21 century. And at the end of the day, members are saying it is not that easy to leave. “Just move” is no answer. This is a complicated set of problems, which I believe can only be effectively resolved by the people within the community. Members must be engaged in conversations that start with taking responsibility for what is happening in their communities. Until the members take responsibility and collectively decide on a solution to address these issues, they will continue to have one crisis after another. The community needs first to imagine a future in which their lives have meaning and worth, and then to take all the steps to make that future come into being. There is hope and all lives matter. My community of Fort Chipewyan, Alberta was also affected by youth suicide. Like other First Nation communities there is a sense of overwhelming apathy and hopelessness but we must move pass that if we are to survive. I often hear people in Chip say that these problems are all over the country and not just in Fort Chipewyan. True. The question then becomes what are WE going to do about it? There is no one fix, it is a multifaceted and complex issue that requires the ingenuity of the entire community working together to come up with a solution that works for them. 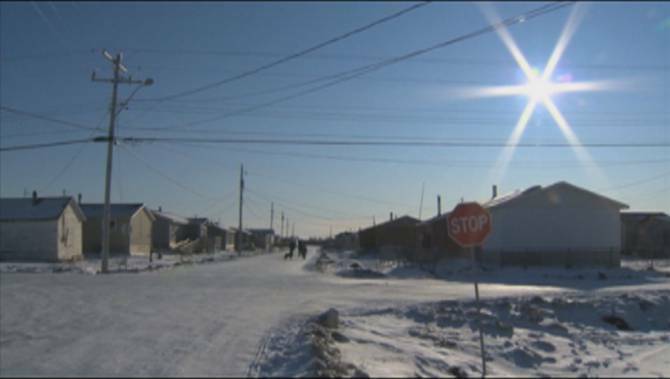 As a start, Attawapiskat is holding meetings for their members on how to address this crisis. I hope everyone is engaged and part of these conversations and solutions. Perhaps, a facilitator can assist the community in their meetings to focus on priorities and to develop a structured plan for moving forward. I found my voice. It takes courage to speak your opinions, especially when some of them relate to members of your family. I found it liberating to speak out about injustices within my First Nation but then I was faced with a choice between speaking up and being rejected by certain family members or stay silent. I chose family. My voice went silent. Social media platforms are great for casual and even virtual relationships. You can be my friend today and block me tomorrow because I said something you don’t like. I have Facebook, Instagram and Twitter friends all over the world who I will never meet but can have a connection on shared interest. And in the context of your real family these platforms can be wonderful ways to share news, pictures and messages. 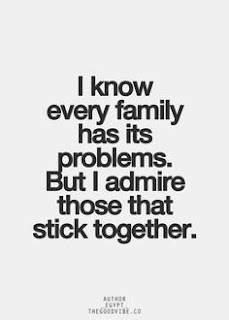 In my case, my family is enormous and there is no way I could keep in touch with everyone without these platforms. Over the years, I’ve worked on myself to become more aware of how my behaviour affects others. Often I will not say something to a person about their actions unless I feel they can handle it. There has to be an understanding for them to hear what I have to say before they are able to hear it without overreacting or feel that they are being attacked. I admit, in the past I have misjudged some people and have paid for that by losing their respect, whether it was justified or not. At our core, we all seek a meaningful and purposeful life. Something that gives us meaning as human beings. Our need for human connection is a basic need that began when we were children as part of a family. 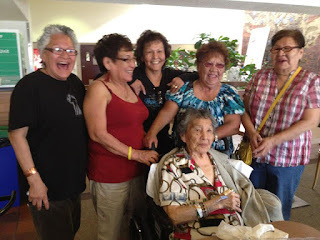 Our family relationships provided us a connection with others and shaped who we are. 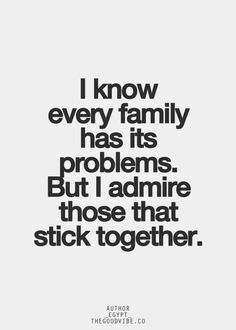 It is true, you don’t pick your family. Instead you are born into a family. Being part of my family is a gift. You have no idea how very lucky we are to have a large family with diverse interests on so many levels. 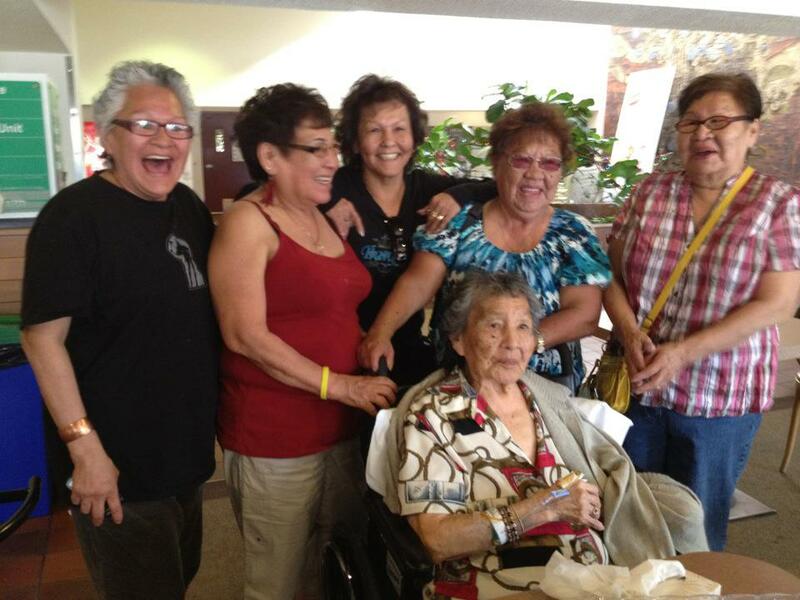 Each family member has value and we all contribute to the dynamics of our family. However, family dynamics, we can agree, are complex and sometimes can be very complicated because of our underlying emotional baggage. At the same time social platforms undermine us by making it easier to cut off communications. Sometimes in the heat of an argument our default is to remove people on our social platforms and then take it to the next and final step, to block them. For those who are not familiar with the term "blocking" it means you cannot contact the person who cut you off on the internet. Often they also take the extra step to block your calls on their cellphone. Blocking someone, to be sure, can give you a feeling of empowerment. But the message is relationships, including family, are disposable. You are thrown away in a blink of an eye without a second thought. And this leaves the person blocked feeling helpless without an explanation of why they were blocked. It is a cowardly way to end a family relationship. But of course you have that right. Particularly if you feel an individual is harming you in anyway and is devoid of any empathy or compassion towards you. By all means block away. That said, if your family member is not a deviant evil human being, in other words not a psychopath, then why not work on your disagreement. What is wrong with talking to that person? Just saying. When you block a family member, you may not realize the ramifications of this action. I have been removed and blocked by family members. I interpreted it to mean that person no longer wants me in their life, and I interpret it to mean that I am no longer family. It is a pretty clear message. This is the downside of mixing the disposable culture of social platforms with a real family. If I block a Facebook “friend” on Facebook I won’t have to live with the consequences of that person’s feelings. But when a family member blocks me, somebody whose blood and history I share, how am I supposed to feel? Indeed, how do I feel and act when I continue to see a person who has blocked me at family functions? When I found myself at a family gathering, I felt awkward and didn't know how I was suppose to act. Do I say hi and shake their hand or do I ignore them? Of course, I shook their hand but it felt disingenuous. It is perplexing to say the least. Rose, Liz, Mary, Annie, Dora, and Mama. Initially I told myself that doesn’t really matter. But you know what, it matters to me! We will continue to see each other at family gatherings. Awkward, right? Furthermore, withholding family affection because of a disagreement is the worst kind of emotional blackmail and not to mention it is hurtful. 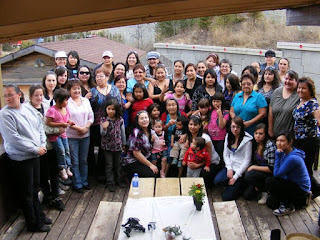 What hurt the most is the family members who rejected me are people who found their purpose in standing up for environmental injustices, fighting against the colonial government on issues of Indigenous Rights but yet they feel justified in their position to reject a family member who stands for injustice of our membership against our own leadership's actions. Frankly I find it ironic and it is the definition of intolerance. As a child of the First Nations Residential School System I feel that this intolerance and indifference from family is a step backwards. How can we talk about Truth and Reconciliation as a Nation if we have intolerance within our family and in our communities? It certainly is not part of our Indigenous culture and definitely not in line with our own Dene Laws. At the end of the day, in this new world order, basically I see a disconnect between our actions on social platforms and being caring individuals. Understandably, it takes bravery to step out from behind social platforms and actually engage with one another as adults, instead of behaving like petulant children. Which is exactly what these platforms encourage us to be. I don’t like something you said, and so I am going to pretend you no longer exist. respond to family in whichever way we want, but your choice will determine how much you value being part of this family. I recognize we are individuals going through different things in our life and I respect your choices. To that end, I will never remove family members or block them from my life either on social platforms or in “real” life. That is my promise to my family. The younger generation is watching. The other side of it is this. If you don’t like something I say, please talk to me. Try to understand my side of it. If you don’t agree with me, fine. But don’t turn your back on me. Don’t ignore me when we see each other. I am a person, part of your family. I will always be there if you need me. I am not just a Facebook “friend.” Like it or not, we are family. 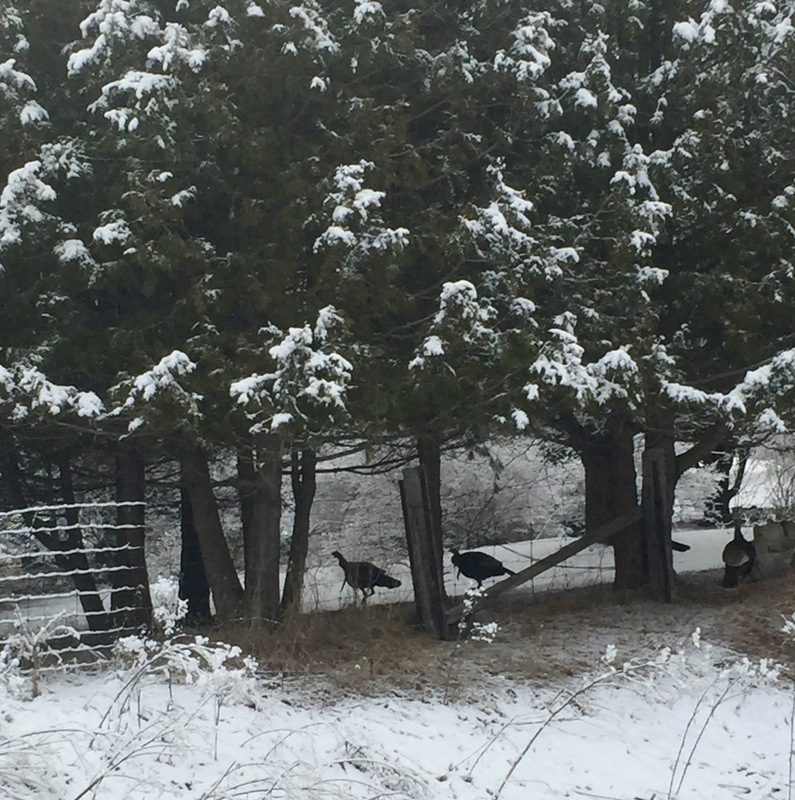 On January 15, 2016, I challenged myself to write about being grateful over 100 days. Through this challenge I am getting to know myself better each day. I enjoy this challenge because I still need prompting to look inside myself and to be grateful daily. It is not easy but it is satisfying. I am grateful for delicious fresh pressed juice that I enjoy making most times! Other times, I find myself being too lazy to make juice because I want to avoid the clean up. However, when I am sipping the vibrant healthy juice, I know it is all worth it. Why do we get lazy even when we know the rewards are great? I made juice using granny smith apples, ginger, and carrots. Topped with hot pepper. Sometimes I enjoy spending the day in pjs relaxing. I am grateful to be able to relax without worrying about anything going on in the world. Today, I spent it downstairs, in the dark, catching up on watching Walking Dead. I am grateful to have friends who are doing things they love and are passionate about. Harold Johnson has a masters degree in Law from Harvard University, is an author, and practices law in Saskatchewan. He has taken time off being a lawyer to work on this project and is following his heart. It is a powerful and insightful goal. Today, it is sunny and filled with all sorts of possibilities. I woke up to a dusting of snow that looked so fresh and magical. It didn't bother me that it was April and suppose to be Spring in this part of the world. When I drove into Kanata I saw these wild turkeys meandering across 6th line road. With no one approaching or following behind me, I stopped and took this photo of them. I am grateful to witness nature in motion. I am grateful that I have a fireplace and can enjoy the heat on this cold icy day. Cold and wintery outside but warm and cosy inside. What is it about a fireplace that makes us feel so protected and secure? YES! I am grateful that when I opened this coconut it was fresh. Sometimes you can't tell if it is fresh until you get home and crack it open. 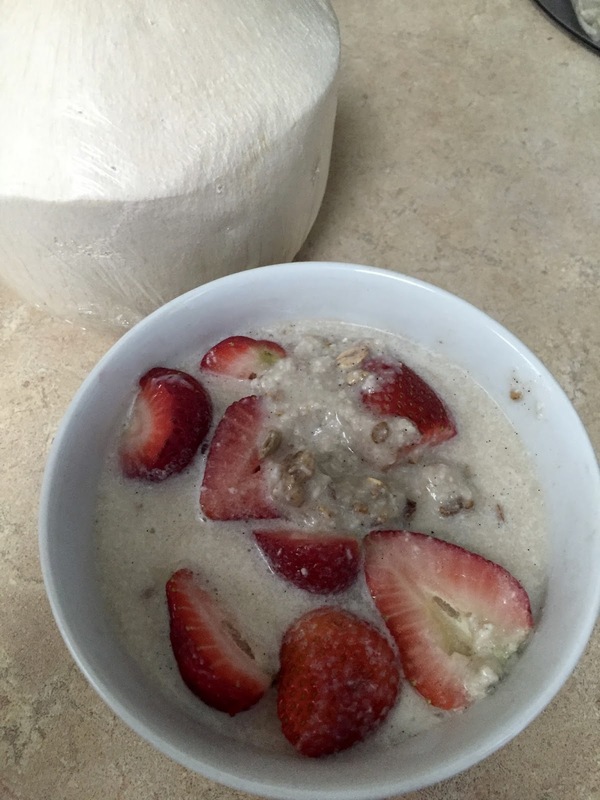 Happily I made almond coconut milk this morning to go with my oatmeal. Every now and then gratitude can be found in the most unusual places. I poured my tea and just before I sipped it, I noticed this tiny heart shaped leaf sitting at the bottom of the cup. A tiny heart to remind me that love is everywhere.